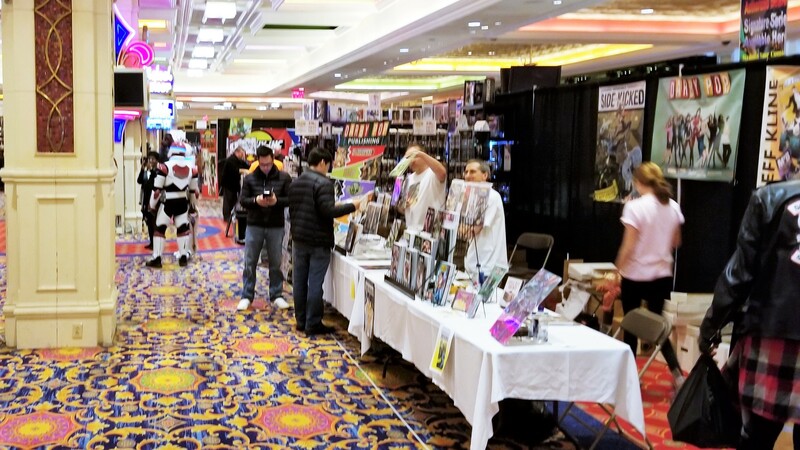 The Garden State Comic Fest has entertained geeks in New Jersey for the past several years. 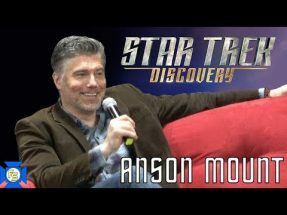 But on April 7 and 8, 2018, they brought their event to the southern part of the state, at the Showboat Hotel in Atlantic City. And with this more prestigious venue, they brought more prestigious guests. Fans were happy to meet actress Summer Glau, who gained a lot of fans as River Tam on Firefly and has gone on to appear in many genre shows, including the 4400, Terminator: the Sarah Connor Chronicles, Dollhouse, Alphas and Arrow. Eric Roberts from the Doctor Who TV movie, The Dark Knight and Lost Girl was on hand. David Dastmalchian, from Ant-Man, Gotham, The Flash, MacGyver and the upcoming Ant-Man and the Wasp enthusiastically greeted attendees. 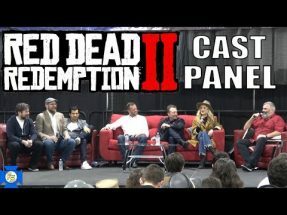 Voice actors Miltos Yerolemou, Diane Pershing and Marty Grabstein were guests as well. Traffic seemed pretty steady at the convention… while it was not crowded, there seemed to be a good turnout. A few vendors and artists mentioned they were doing good business, though at times the floor seemed pretty empty, it might have been more due to the large space available than lack of attendance. Overall the con seemed to be successful, though whether it was successful enough to warrant a return to the Boardwalk remains to be seen. 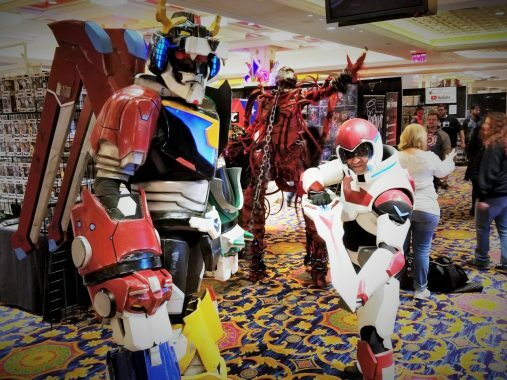 With J1 Con scheduled to make use of the same space later this year, Atlantic City could turn into a destination fans of anime, comics, science fiction and other geeky genres. Garden State Comic Fest will be having two more shows this year. You can attend at their Great Adventure edition and their original Morristown, NJ location. 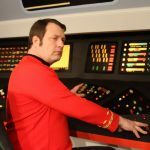 For more information about this convention, visit http://www.gardenstatecomicfest.com. Photography and Photo Editing By Mae Milam. Note: If you spot yourself and would like to grab your picture, you are free to use it for non-commercial purposes. We ask that you credit the photo with: Photo Courtesy of https://www.fandomspotlite.com or Tag @FandomSpotlite on Twitter, Instagram, Tumblr and Facebook!